A little over 14 weeks now and I can’t zip up my jeans anymore. 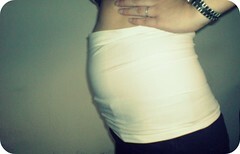 My bump’s growing and becoming more evident. It’s an awesome thing to watch my tummy grow, but wardrobe-wise, it’s becoming quite a challenge. And I hate shopping for new clothes. You can fold the the band below your belly button, but I like stretching mine over my whole bump because I find it more comfortable. And look, it goes smoothly over those unbuttoned jeans! I just pull my top over the belly band and ta-da! See how smooth the top is? No unsightly unzipped and unbuttoned jeans. They can help hold your pants up too. I can breathe easy. Best of all, I can still wear my pre-pregnancy jeans. The belly band is a great way to maximize shorts and pants that I currently have. That saves me a trip to the mall and major wardrobe money! It’s also great for the phase I’m in now, when maternity clothes are still big for me, but I’m getting too tight for my current wardrobe. There are different brands of belly bands in the market. I bought mine from the maternity store Havin’ A Baby. One piece costs around P500. It’s very much worth the price! It’s so much cheaper than having to buy maternity pants for now. Belly bands come in different colors. Mommy Toni… you’re sooo cute! awww baby bump is adorable… that is one nifty accessory. Another use: it’s super-useful for breastfeeding. You can breastfeed in a regular shirt and when you lift your shirt up, your tummy isn’t exposed to the world. rowies last blog post..Breastfeeding wear and pillows. I wish I found those when I was still pregnant! Hugs to my fellow preggy mom too! It’s my favorite maternity accessory! Oh wait, it’s the only maternity accessory I have. Haha! Hey that’s an interesting piece of clothing. You can wear one naman eh even if not preggy! 😉 Buy sa Amazon! Shai Cogginss last blog post..Web Wednesday #18: The Return! havin’ a baby also has bra extenders. it saved me from buying bigger bras when i was pregnant. you hook the extenders to your bra hooks at the back so they get longer. Thanks! I saw them also, will buy when I need na. But honestly I think I need new bras because the cups are beginning to get tight. I used one similar to that called Bella Band and you’re right. It’s so worth it. I didn’t start buying maternity clothes officially until I was in my 20th week or so. There are Bella Bands here too! They’re too pricey for me, haha. Buti nalang may local version! dyanies last blog post..How many times did I watch YCML? Will pass on that wave! very practical accessory. 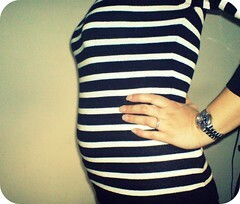 hindi ko yan nadiscover when i was preggy a. cute at ang smooth ng bump ni mami toni! ingats! that’s very fashionable… meron na kaya nyan nung ako’y nagbuntis about 9 yrs ago? ang ganda! That’s a cool accessory. I’ve never had one when I was pregnant. I’m glad I was told about it. At least I can still maximize my jeans! Wow, you’re expecting! Isn’t it cool? Yeah the band is really perfect, huh. You take care! 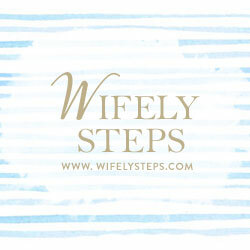 Thank you for your submission to the advice for women from women blog carnival. Thank you for including it! Hi, it’s great you’ve found Bella Band. You might also like to try Belly Belt, which holds up pants, skirts and so on. It actually works very well either with Bella Band or by itself with a long top. Some women find that it takes them almost all the way through pregnancy, and for others it will give them a good 2-3 months extra wear from their regular clothes. Maybe this will be your second maternity accessory? Would be interested in your comments. I bought mine at http://hipmomsandbabies.multiply.com for php250 each. Bought 3 :D.
That’s a great site! Thanks for sharing the link! 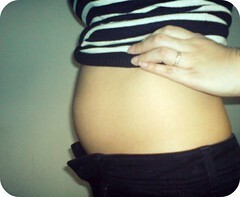 Belly band are really important for expecting woman.